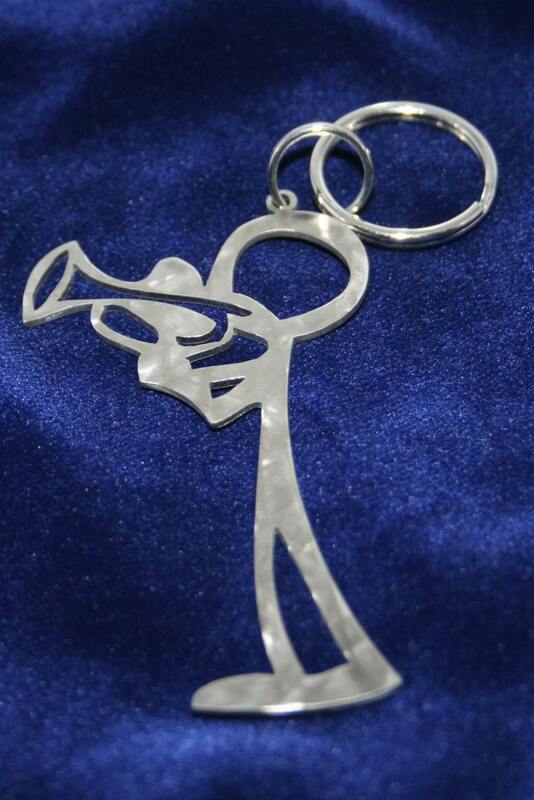 Whimsical stick figure playing a Trumpet. Made from 18 gauge stainless steel with a semi - tumbled finish. Comes with a nickle plated 6mm split ring. Measures approximately 2-1/2" wide by 3-1/2" tall. 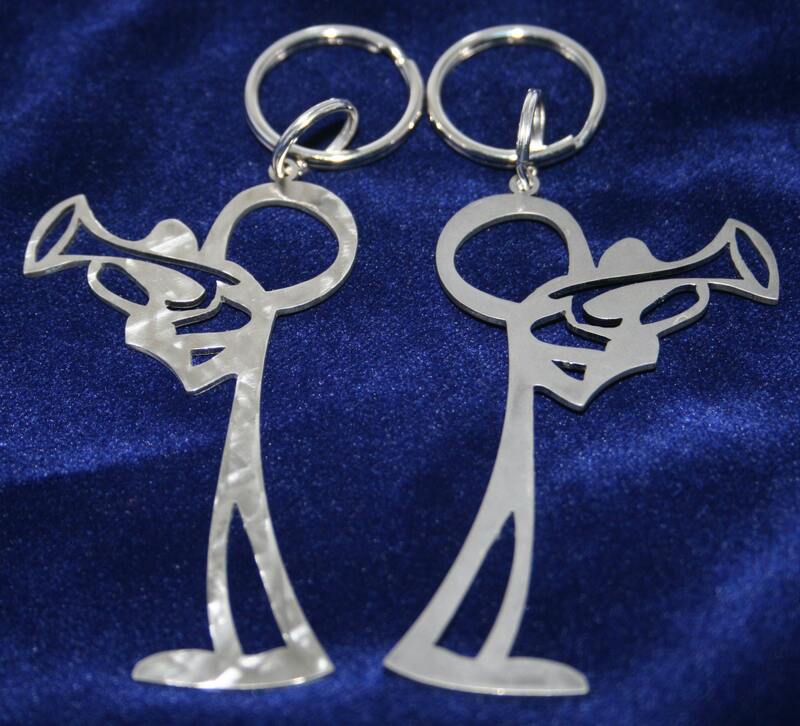 Check out all of my other stick figure musician charm key chains or fell free suggest one I don't have! 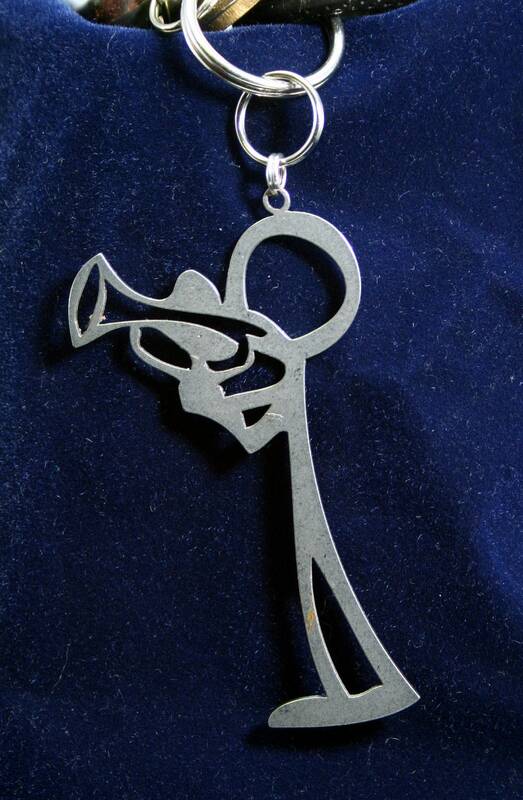 "Got this for son who plays jazz trumpet. I really think it's cool & unique. Post office wasn't careful w/Priority box, but key chain is still cool. Son will really like it!" "The metal is good quality, will not bend. The carving detail is great." Fast delivery and exactly as described! Thank you! Got this for son who plays jazz trumpet. I really think it's cool & unique. Post office wasn't careful w/Priority box, but key chain is still cool. Son will really like it! The metal is good quality, will not bend. The carving detail is great.